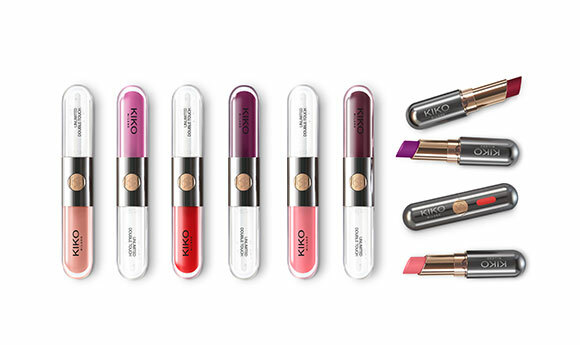 Discover our luxurious and refined KIKO palettes with magnetic closure and simple, elegant design. 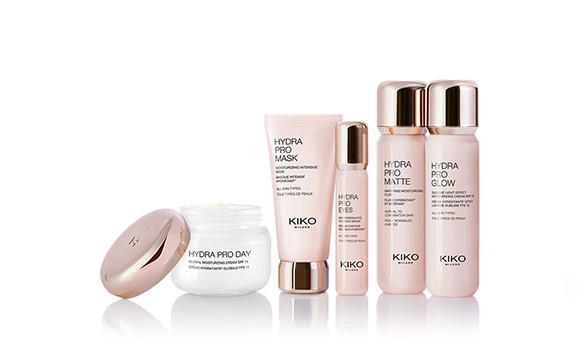 Visit KIKO MILANO stores in India. 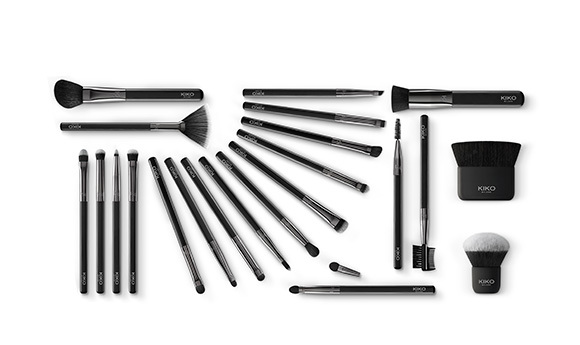 KIKO Cosmetics Retail Pvt. Ltd.
1.2 Please note that for the purposes of this Policy and the data processing that we carry out, your information will be collected and stored by KIKO or any of its subsidiaries and/or affiliated companies (collectively referred to herein as “KIKO Businesses”) on servers located in India. Irrespective of which country you reside in or supply information from, you authorize us to transfer, use and store your data and the information provided to or collected by us in India and any other country where the KIKO Businesses operate. A complete list of the KIKO Businesses may be requested by sending a mail or email request to us at the addresses set forth hereinabove. 2.1 Information you provide to us. You may provide us the information about you when you use our Website in order to provide you our Services. Some of our Services may require you to have an online Account ("Account") with us. 2.3 Your personal information will be processed for purposes related to the fulfillment of the requested Services and obligations related to the execution of the contract as well as with a specific consent, for the purposes of advertising and promotional activities, as well as operations related to marketing communications (including newsletters and promotional materials concerning the products and services offered, also for third parties). 2.4 If you would prefer that we don’t collect any personal information from you, please do not provide us with any such information. 2.5 Information we collect automatically. When you visit our Website, we may automatically collect the following information: your IP address, log-in information, browser type and version, browser plug-in types and versions, operating system and platform, information about your visit including the URL clickstream to, through and from our Websites, products you viewed or searched for, download errors, length of visits to certain pages and page interaction. We collect information automatically through the use of various technologies, including through "cookies", and this is explained further below. 2.6 We use the information we collect automatically: (i) to administer our Website for internal operations including troubleshooting purposes; (ii) to ensure that content from our Websites is presented in the most effective manner for you and your devices; (iii) as part of our effort to keep our Website safe and secure; (iv) to measure or understand the effectiveness of marketing & advertising campaign we undertake to serve you and others and (v) to make suggestions and recommendations to you and other users of our Website about goods or services that may interest you or them. 3.1 We may share your information provided to us with the KIKO Businesses, other subsidiaries and affiliates of the Odissea Group (holding company of KIKO S.p.a.) and with responsible third parties (both inside and outside of India), a complete list of which is available from KIKO. 3.2 We may disclose information that is necessary to comply with any applicable law, regulation, legal process or governmental request. In addition, we may disclose any information when it is necessary to prevent physical harm or financial loss or in connection with suspected or actual illegal activity. 4.1 We (KIKO S.p.A and KIKO COSMETICS RETAIL PRIVATE LIMITED) and selected third parties may use the information you provide to us on our Website for direct marketing purposes, to provide communications, updates relating to new products and special offers or information on Services offered by KIKO and also by third parties. Where required by law your prior consent will be obtained before sending direct marketing. In any case/ event, we will always offer you the option to unsubscribe when you register for an Account with us as well as every time a communication is sent to you. 6.1 Our Website may contain links to other websites. We do not review such third party websites and you acknowledge and agree that we are not responsible for such websites, including the privacy policies of such websites and we do not control their content. 6.3 Authentication through social networks. For some Services provided by us we could use plug-in social networking to allow you to authenticate and access special services using credentials with which you are registered on social networks. 7.1 When you use the Website, we collect information automatically through the use of "cookies". A cookie is a text file containing small amounts of information that a website can send to your browser, which may then be stored on your computer or mobile device as an anonymous tag that identifies your computer or mobile device but not you. You can set your browser to notify you before you receive a cookie, giving you the chance to decide whether to accept it. You can also set your browser to turn off cookies; however, if you do this, some of Services may not work properly. By using the Website, you consent to the processing of your data by KIKO and the service providers in the manner and for the purposes set out below. Strictly Necessary Cookies. These cookies are necessary to provide you with services available through the Website and to use some of its features, such as access to secure areas. Without these cookies, services you have asked for, like shopping baskets and secure customer account pages, would not be possible. Who provides these services? KIKO S.p.A, Gigya, Inc.
How do you block these services? Not applicable. Marketing Cookies. These cookies are used to make advertising messages more relevant to you. They perform functions like preventing the same ad from continuously reappearing, ensuring that ads are properly displayed, and in some cases selecting advertisements that are based on your interests. How do you block these services? You may disable any of these cookies via your browser settings. If you do so, various functions of the Website may be unavailable to you or may not work the way you want them to. Analytics Cookies. These cookies collect information that is used either in the aggregate form to help us understand how the Website is being used or how effective our marketing campaigns are, or to help us customize the Website for you. This information will also be used for the purpose of evaluating your use of the Website, compiling reports on website activity for website operators and providing them other services relating to Website activity and internet usage. 8.1 We will not retain your information for longer than is necessary for our business purposes or for legal requirements. However, please be advised that we may retain some information after you have ceased to use some of our Services (unless you instruct us otherwise), for instance if this is necessary to meet our legal obligations such as retaining the information for tax and accounting purposes. Use of the Website is available only to such persons who can legally contract under Indian Contract Act, 1872. Persons who are "incompetent to contract" within the meaning of the Indian Contract Act, 1872 including minors, un-discharged insolvents etc. shall not be eligible to use the Website. Any minor desirous to use or transact on Website, is required to conduct such transaction through their legal guardian or parents. Access to certain parts of the websites and/or eligibility to receive prizes, samples or other rewards may be limited to users over a certain age. We may use your personal information to carry out age verification checks and enforce any such age restrictions. By accepting the policy or using or transacting on the Website, the User irrevocably declares and undertakes that he/she is of legal age i.e. 18 years or older and capable of entering into a binding contract and such usage shall be deemed to form a contract between the Website and such User to the extent permissible under applicable laws. 10.2 However, if you wish to obtain a copy of personal information that we hold on you please contact us at address in section 12.1 below. Before we are able to respond to your request, we may ask you to verify your identity and to provide further details about your request. We will endeavour to respond within an appropriate timeframe, and in any event, within any timescales required by law. 10.3 It is your responsibility to ensure that you submit true, accurate and complete information on your online Account and keep it up to date. 11.1 This Policy may be updated periodically and without prior notice to you to reflect changes in our personal information practices. This Policy was last updated on March 22, 2017. A notice will be posted on our Websites' home pages for 30 days whenever this Policy is changed in a material way. By continuing to use our Website you confirm your continuing acceptance of this Policy. 12.3 A complete list of those responsible for data processing at KIKO is available, via written request, from KIKO. KIKO takes commercially reasonable and appropriate security measures to protect against unauthorized access to or unauthorized alteration, disclosure or destruction of its data, including personal information stored or maintained on its servers and other systems. These measures include internal reviews of KIKO’s data collection, storage and processing practices and security measures, as well as physical security measures to guard against unauthorized access to servers and systems where personal information is stored. KIKO regularly reviews its compliance with this Policy. Please direct any questions or concerns regarding this Policy or KIKO’s treatment of personal information by contacting KIKO by mail or email at the address set forth hereinabove. KIKO will make reasonable efforts to cooperate with the appropriate regulatory authorities, including local data protection authorities, to resolve any complaints regarding the transfer of personal information. The processing of personal information by KIKO will be conducted in compliance with applicable Laws of India and for the purpose of enforcement of any of the rights under this Policy, the Courts in New Delhi/Haryana shall have jurisdiction.